The National Science Foundation (NSF) has awarded a grant to the Natural History Museum of Utah and the College of Education at the University of Utah for the proposed project titled Engaging Practices for Inquiry with Collections in Bioscience (EPIC Bioscience), with total funding expected to reach $1.3 million. EPIC is a pioneering project that builds on the work that began with Research Quest. Research Quest is an online series of investigations, including videos, instructional guides, 3D images of digitized museum objects, and more. 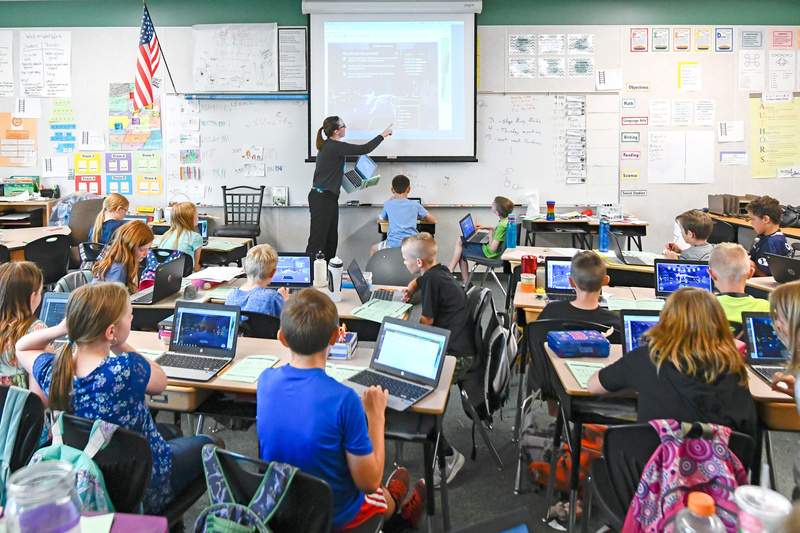 The investigations, which are currently geared toward middle school students with plans of expanding to more age groups, engage students in a series of scientific, researchable questions designed to develop their critical thinking skills. The project began several years ago, and proved overwhelmingly successful through the Research Quest pilot group of investigations used by more than 30,000 students. 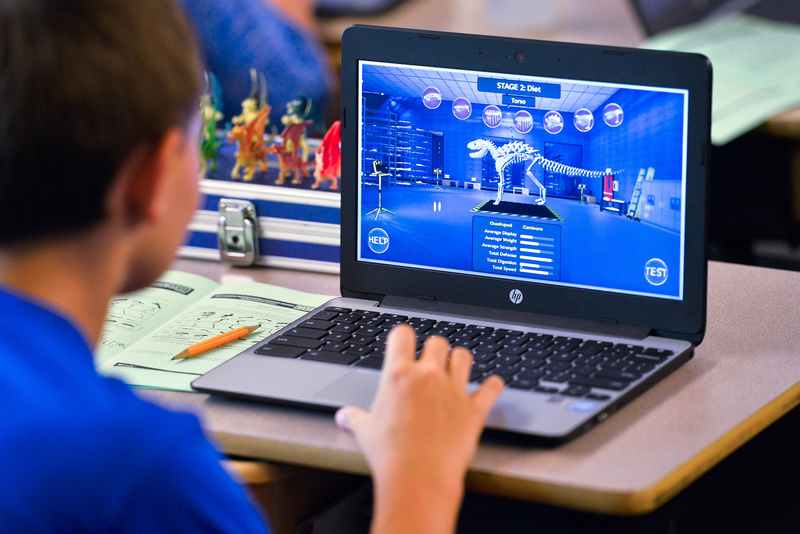 Now, with the National Science Foundation support of EPIC, NHMU is focused on helping expand the way students think about science in digital spaces. EPIC Bioscience is a multidisciplinary effort that will use digitized objects from NHMU’s botany, entomology, and vertebrate collections as a means for middle school students to engage in authentic research to practice key skills like critical thinking, communication, and collaboration. Like Research Quest, students will use the same objects that are housed in museum collections to ask many of the same questions that scientists grapple with every day. In addition to expanding the Research Quest catalog of investigations, the NSF grant will support efforts to share this work with other collections-based museums, exploring innovative ways to leverage their digitized collections for learning. Research Quest is one instrument NHMU has created to make itself accessible and relevant to students around the state, as well as introduce object-based inquiry and engage critical thinking skills. 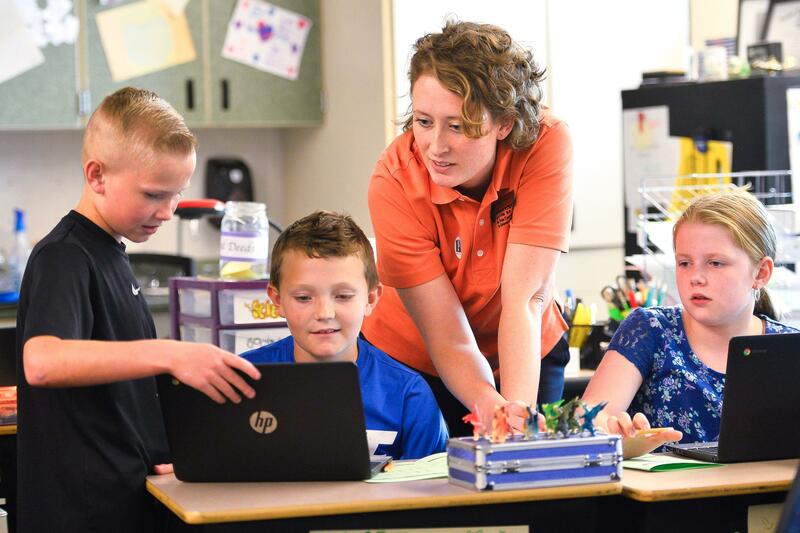 Over the three years slated for the NSF EPIC-funded project more than 1,500 Title I and rural students in Utah will have the opportunity to use the new EPIC Bioscience program. Additionally, all student interactions—how they engage and think about the research questions—is data that will be collected, analyzed, and eventually made available to the public. Learn more about using Research Quest in your classroom here. Westin Porter is a Digital Science Writer for the Natural History Museum of Utah, a part of the University of Utah in Salt Lake City. Our mission is to illuminate the natural world and the place of humans within it. In addition to housing outstanding exhibits for the public, NHMU is a research museum. Learn more.